Hey, hey, Caturday! Good morning. 😊 I’m reporting live from my bathroom today because I am out of eye cream…and it’s very distressing to me, because this appears to have happened suddenly, out of nowhere. 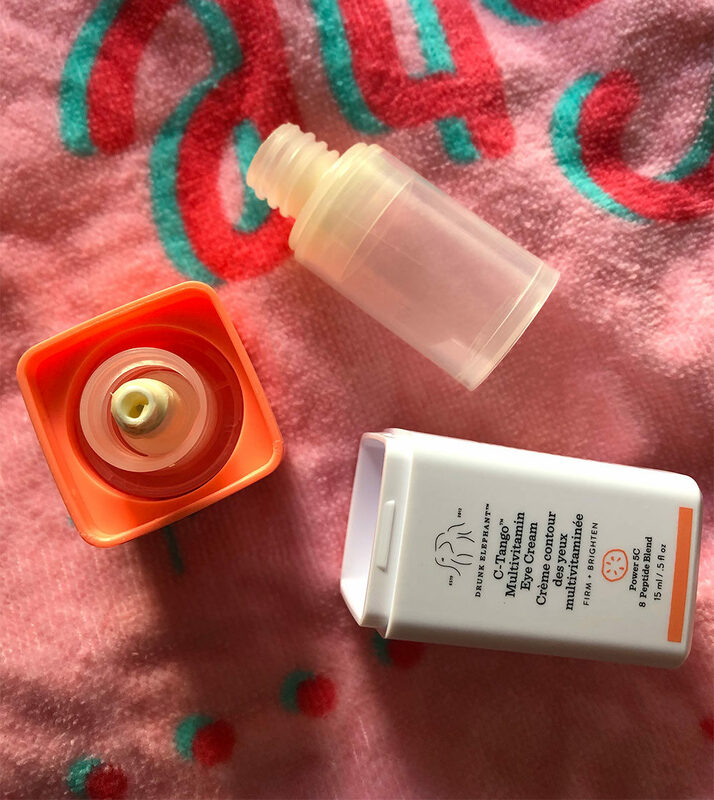 After hearing people rave about it for months, I bought a bottle of what I thought was a relatively large amount of Drunk Elephant C-Tango Multivitamin Eye Cream back in November, and I feel like I’ve only been using it for two seconds, but it’s gone. IT’S COMPLETELY GONE. So I’m officially out of eye cream [SHUDDERS]. Like, how did this even happen?? I’ve been conservative with the C-Tango, too. I don’t even do a whole pump. I use half a pump! And that’s only part of the issue. What really bugs me is that this came out of nowhere. I usually keep a backup of mission critical items (like eye cream) on hand just in case, but I couldn’t tell how much of this one was left. There’s no way to tell from the bottle. I mean, I like it as an eye cream well enough, but I’m not a fan of the packaging. But now I’m REALLY sad because it’s officially gone. Even with the recent beauty biz changes and the “Fenty effect,” according to Hollywood makeup artist Tym Buacharern (he’s worked with Jennifer Hudson, among many other stars), brands still have a long way to go when it comes to giving women of color more makeup options. I learned this micro-concealing technique from Lisa Eldridge (my fave!) years ago, and it’s one of my “go-to” techniques for skin that looks even-toned but not cake-y. How cool is this? —> Thirteen-year-old Tilly uses her 3D-printed bionic arms when she does makeup tutorials. This skin care line was founded by MIT grads, and everything in it is less than $30. Could somebody please get me this triple chicken perfume bottle from the 1700s?! I really want to try that L’Oréal foundation. This looks like fun, and I love her tropical pink pants. I might go back to the Fresh Black Tea eye cream now… I remember using it and liking it…and it lasting A LOT longer than this Drunk Elephant one did. On that note, have a great rest of your weekend. Talk to you soon. Your Thoughts on Waterproof Mascara?